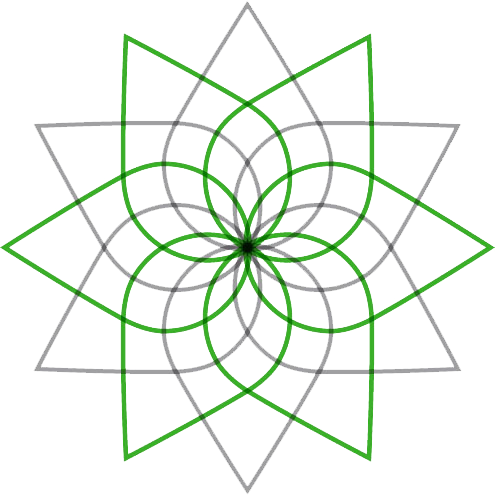 The mandala logo of Consulting Sensei represents multiple layers of online marketing. To explain, imagine your business the middle of the mandala. The pedals surrounding your business, pointed outwards, are the many aspects of your online marketing reaching your customers. The goal of Consulting Sensei is to educate business owners on the many opportunities to connect with their customers through online marketing. In return, businesses are profitable and successful and the owners happy! Consulting Sensei was founded by Melanie Fisher to empower and educate small business owners how to navigate the constantly moving waters of online marketing – and be successful! Over the last decade, while being a successful business owner herself, Melanie was continually helping other businesses how to improve their online marketing. The response was always the same, that Melanie helped each business reach more customers, grow sales and profits. Since Melanie loved working with business owners, this made her next step obvious: start her own consulting company focusing on helping businesses succeed through online marketing. Since starting Consulting Sensei in 2017, Melanie has worked with many businesses with amazing results: businesses are connecting better with customers and search engine sites resulting in double and triple of sales! Seriously. All the hard work, education and trial by error Melanie has done with her own businesses has paid off..
2006 was the first year Melanie owned her own business when she acquired Cog Wild Mountain Bike Tours, the same year her husband start his own business, Home System Solutions. Melanie quickly immersed herself in the online marketing world to learn how to target the right customer with the right tools for the right business. Cog Wild sought customers from all over the world, and Home System Solutions sought a very specific, Central Oregon based customer. Due to Melanie’s knowledge, Cog Wild grew to be a model company in Oregon, drawing customers from all over the United States, Canada and beyond. Home Systems Solutions became Central Oregon’s leader in home theater with a great online presence continually drawing in new business. At the end of 2015, Melanie chose to shift to helping other businesses and after taking some time to ride her bike, she was ready! Where does the business name come from? Consulting Sensei is from Melanie living in Japan for two years (2000-2002) as an English language teacher (sensei) including managing a small English school and being responsible for the marketing. Learning to advertise to non-English speakers in a different language gave Melanie many opportunities to be creative and learn different ways to create business. Now this translates into helping business owners widen their knowledge as business owners to be successful. Currently Melanie holds the recreation seat on the Deschutes Collaborative Forest Project (DCFP), working with the Forest Service to restore natural conditions in the forest surrounding Bend. She is also a member of ConnectW and the Central Oregon Trail Alliance (COTA) where she has been a trail crew leader for many years. Melanie is based in Bend, Oregon, but is happy to work with businesses from all over – including you! Choose an option below and learn more so we can start today..
Sen-sei noun: A teacher or instructor. Typically used after a person’s name. Also implies “one who teaches based on wisdom from age and experience.” Japanese in origin.